September 29 event to highlight area renewable energy projects. Madison, WI – On Saturday, September 29th, RENEW Wisconsin will host its 6th annual “Ride with RENEW” bicycle tour of renewable energy projects, with this year’s ride taking place in Milwaukee, WI. All event proceeds support RENEW Wisconsin’s ongoing work to advance renewable energy in Wisconsin. 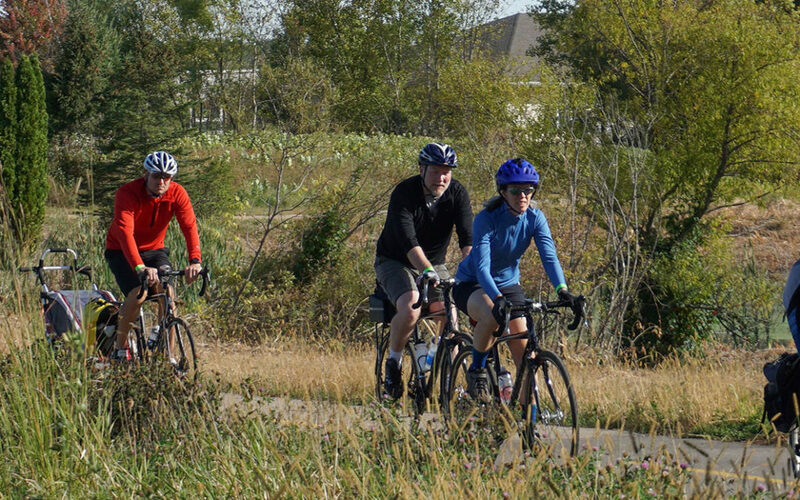 Riders will travel approximately 25 miles on paved roads and bike paths to visit innovative wind, solar, geothermal, and biogas energy generation facilities in Milwaukee. The total tour time will be approximately 6 hours (including stops at renewable energy sites) and actual riding time will be 2 to 3 hours. Participants will get an inside look at some of the area’s leading renewable energy projects and will enjoy breakfast, lunch, and beverages along the way. They will visit with installers and workers who are advancing renewable energy every day, and hear from customers about why clean energy works for their pocketbooks and their businesses. Gather at Ingeteam parking Lot a 9:00 a.m. departure. – Ingeteam has a LEED Gold, 138,000 square foot industrial facility and is a leading manufacturer of wind and solar energy products. Milwaukee Public Museum – MPM features 234 solar panels on its south-facing tower wall. The panels are linked to a kiosk located on the ground floor that provides near-real-time data on the energy generated by the panels. Discovery World Science and Technology Center – Discovery World at Pier Wisconsin is a youth-oriented science and technology museum and aquarium in downtown Milwaukee and features geothermal heating and cooling. Port of Milwaukee Wind Turbine – The City of Milwaukee’s Environmental Collaboration Office (ECO) and the Port of Milwaukee partnered to install a 100 kilowatt wind turbine at the Port. Installed by Kettle View Renewable Energy, the turbine provides more than 100 percent of the electricity needed by the Port administration building. Escuela Verde – This public charter school, designed to support students interested in sustainability, student-led learning, and restorative justice, was a recipient of a 2017 Solar for Good grant. In 2018, 60 solar panels were installed by SunVest and Current Electric on the roof of the school. School Sisters of Saint Francis – The Milwaukee branch of the School Sisters of Saint Francis partnered with Arch Electric to install 1,086 solar panels on the rooftop of the St. Francis Sacred Heart building in 2017. Producing 375 kilowatts of solar, the solar array is able to help offset more than 12 percent of the electricity consumed at the Sacred Heart facility. Potawatomi Biodigester – This waste-to-energy project converts waste materials generated by the food and beverage industries to electricity. The electricity produced is sold to WE Energies as renewable energy. The ride will conclude at City Lights Brewery for refreshments at around 4:00 p.m. Registration for the ride is open through September 28th. The cost is $40 for members of RENEW Wisconsin, $50 for non-members, and $70 to both register for the ride and become a member of the organization for one year. All donations to RENEW Wisconsin for this charity bike ride are matched up to $15,000 by generous donors John & Mary Frantz of Madison! Individuals and businesses can donate to RENEW Wisconsin or in support of a rider, sign on as an event sponsor, or volunteer on ride day. Sponsors of the Event include Arch Electric, HGA, SunVest, Bounce Milwaukee, Discovery World, Milwaukee County, Summit Credit Union, SunPeak, UW Engineering Professional Development, Current Electric, H&H, Milwaukee Shines, Wegner CPAs, and Open Circle Unitarian Church – Fond du Lac. There is still time to sponsor if your business or organization wishes to do so. 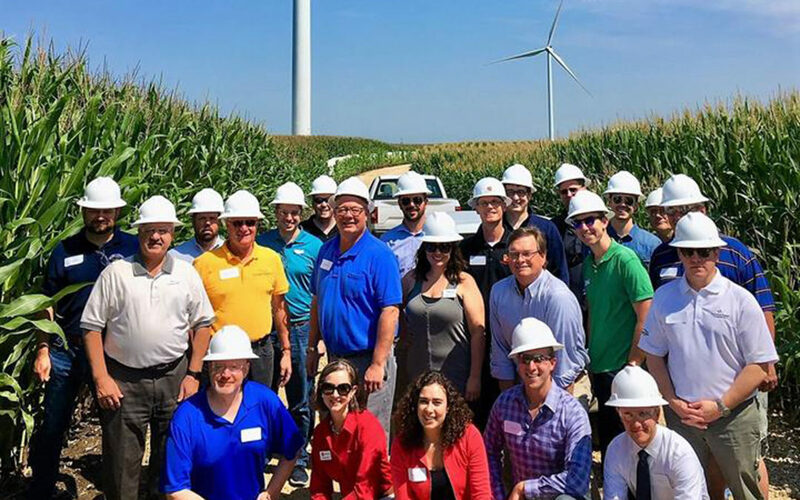 On August 9th, Vanessa Tutos, Director of Government Affairs for EDP Renewables hosted me and a large group of legislators, legislative staff and other interested people on a tour of their Quilt Block Wind Farm near Darlington, Wisconsin. During a pre-tour briefing, Vanessa and the EDP Renewable staff gave an overview of the facility and how it works. Darlington Mayor Dave Breunig also participated in the briefing, explaining the many benefits that the Quilt Block facility brings to the local communities, including not only the town and county tax revenues, but the good paying jobs at Quilt Block and the many community businesses that benefit such as restaurants, hotels and other shops. On Tuesday, August 22nd, the Wisconsin Association of Energy Engineers invited me and Jane McCurry of the RENEW Wisconsin staff to tour something old and something new, all in one location, the School Sisters of St. Francis campus in Milwaukee. The Sisters recently installed a 375-kW solar array with 1,086 panels on several of their buildings. Sister Carol Rigali, Coordinator of the province leadership team, specifically asked that the panels be made in the USA. As Mike Cornell of Arch Electric explained, they acquired the panels from Seraphim Solar USA, from Jackson, Mississippi. Sister Carol said that St. Francis expects to save $1.5 million in energy costs over the life of the system, but that was only one reason they did the project. She noted that in his 2015 encyclical Laudato Si, Pope Francis specifically mentioned installing solar panels as one way to care for creation. “This solar energy project will enable us to lessen our energy consumption and to invest in our care of the earth.” The chapel was finished in 1914 but looks as amazing as the day it was built. The art and architecture inside compare to some of the best churches anywhere in the world. Now they have a state-of-the-art solar generation system that will help them achieve their mission now and into the future. Preserving the past by embracing the future! Nicely done Sisters! On Monday, August 27, I was joined by RENEW Wisconsin’s Executive Director Tyler Huebner, Scott Smith from Madison Gas & Electric and Neil Palmer from Invenergy to give a briefing to the Wisconsin Agriculture Coalition about the latest developments in renewable energy and how it may affect their members. The Agriculture Coalition is a group of association executives and government affairs staff who meet regularly to discuss legislative and regulatory issues in which they have a common interest. I opened the meeting by discussing the changing economics and politics of renewable energy and let them know that they are going to be seeing a lot of activity in Wisconsin. Tyler then gave an overview of renewables in Wisconsin that will especially impact farms and agriculture related businesses such as solar and wind farms and biogas generation. Scott gave the utility perspective on why they are all adding large scale renewables to their portfolio and the benefits that they see for their customers. In particular, he noted that the driving force was the impressive price drop of over 75% for solar power in the last 10 years. Finally, Neil spent some time explaining how Invenergy goes about developing a utility scale solar project, from identifying good locations with access to substations and landowners with enough flat, open land who are interested in leasing their property, to the steps and timing of the regulatory process. We also had a good discussion about the “frequently asked questions” that they may be hearing from their members and how to answer them. In summary, everyone in attendance received a good, general understanding of the amazing changes that are happening in the renewable industry and that RENEW Wisconsin is their source for reliable, fact-based information!